In the early 1990’s when I lived in Sydney, I used to walk past a strange interesting-looking storefront in inner-city Chippendale. The window displayed a huge painting of an Alien head, and inside the store was all manner of weird pop-culture items and artifacts. Well, the place turned out to be the ‘Mu-Meson Archives’ , a wonderful mix of obscure film, UFology, pop-culture and conspiracy theory – you know a real alternative to everything else that was out there. What? He had to be making this up, surely? Well he wasn’t, and 16 years (!) later – after 3 episodes of Rudo By Night, 52 episodes and a feature length DVD of Mucha Lucha!, and countless excursions to watch Lucha Libre in Tijuana, Mexico City and California – our feature film ‘Los Campeones de La Lucha Libre’ screens at the Mu-Meson archives theatre on July 3rd, 2009. If you are in Sydney, the screening is at 8PM, (Crn Parramatta Rd & Trafalgar St Annandale) together with a documentary entitled Tales from Mexico of Wrestling Politics & Religion and some informative narration and banter from Jay Katz and Miss Death themselves. Wish we could be there. Kaspar teaches Svetlana how to mambo! Agent Kasperovich arrives in Habana! And so ‘Kaspar Kasperovich’ was born! 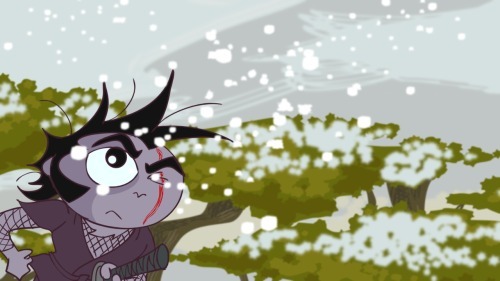 Lili created this fabulous concept artwork based on a few pages I wrote, and after rediscovering it I have decided to finish the story, and who knows…let’s see what happens! This August there will be Two Latino astronauts going on the space mission, Jose Hernandez – a Mexican National from Michoacan, who studied at UC Santa Barbara and Daniel Olivas – From El Paso, TX. We think it’s pretty cool. 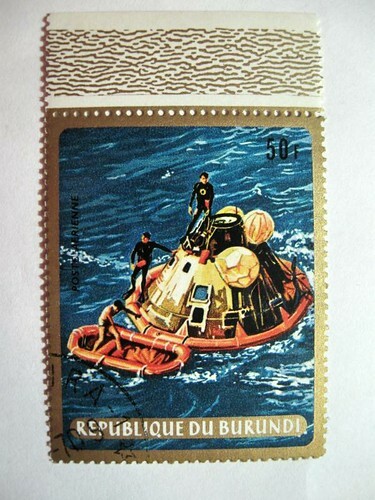 Everyone should go to space. Everyone! 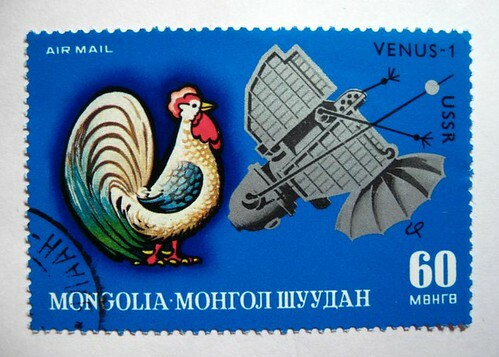 On a related “space” theme, check out der onnder’s astonishing Flickr collection of space stamps from around the globe. 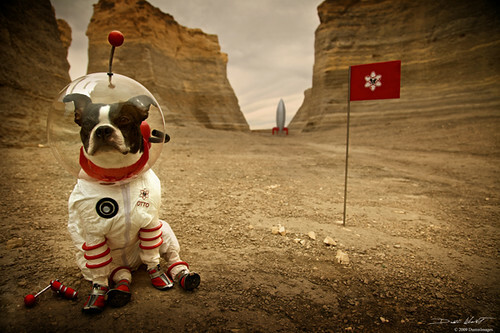 Also on Flickr, Dustin Weant‘s Otto photos put a smile on my face. And of course how could I not mention Cosmic Baby aka Taikonaut 1? Japanese director Yasuharu Hasebe has died at the age of 77. Firstly, this awesome graphic via diedangerdiediekill.blogspot.com. 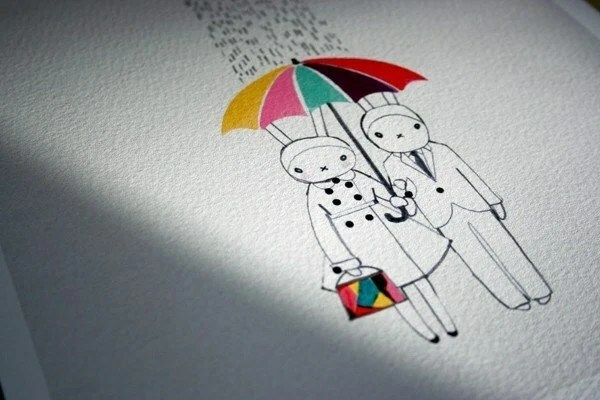 There is something about these illustrations that makes the Fifi Lapin blog addictive. 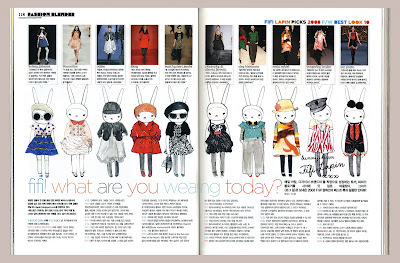 I don’t even read the text, I don’t follow haute couture, I am generally not into kawaii/cutesie designs (I am very specific about the cute things that I like) and Fifi Lapin’s flat, expressionless ‘Hello-Kittyesque’ bunny-ness has nothing to do with it. It’s not even about the clothing styles. I don’t know what it is. 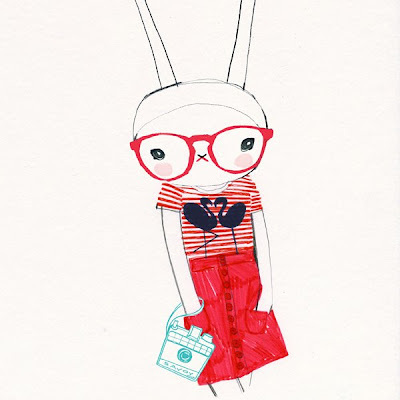 I think I just love the whole idea of a fashionista rabbit. (Maybe it’s sort of like being into dressed-up Blythe dolls). I find the whole project fun and whimsical. 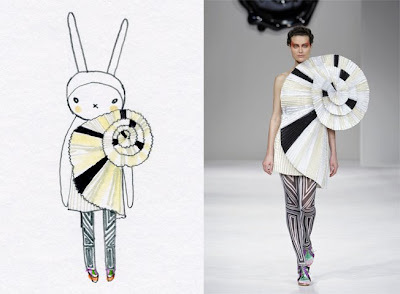 I like the way the artist interprets the fabric shapes, textures and colors. Via: Fifi Lapin’s Flickr where there are lots more photos and illustrations.